This month sees the 25th anniversary of The Belgravia Centre – the UK’s leading hair loss clinic. Since it was established in 1991 Belgravia has gone from strength to strength, quickly adding a worldwide home-use hair loss treatment service for clients based outside London or abroad, and opening its thriving City of London clinic opposite Liverpool Street in 2013. The original Grosvenor Gardens flagship clinic continues to thrive, and Belgravia’s online Success Stories gallery – the largest of its kind in the world – now contains over 1,000 examples of our male and female clients’ regrowth results. Photo-scans show them before and after starting their bespoke treatment courses for a variety of different hair loss conditions. Whilst thinning hair caused by male pattern baldness or female pattern hair loss continues to be the most common concern at both our Central London clinics, in the past 25 years Belgravia’s hair loss specialists have seen a noticeable rise in people visiting us for Alopecia Areata treatment. “We are proud to have helped many tens of thousands of people in the UK and abroad – if not more – in Belgravia’s 25 years“, says Belgravia MD, Jonny Harris. Throughout August we will be introducing you to the Belgravia Centre team, including those behind the scenes who you might not get to see so often, such as the pharmacists based in our in-clinic hair loss pharmacies. So stay tuned to the Belgravia blog in order to learn more about us in our anniversary year. 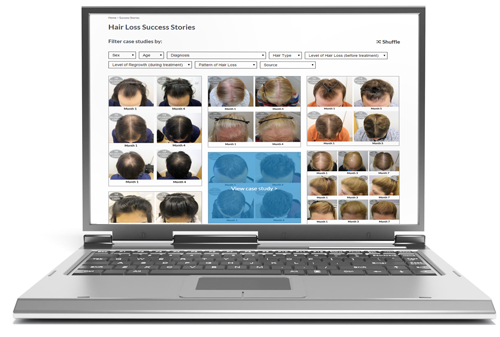 Click on the Success Story images featured here – top to bottom, Male Pattern Baldness, Female Pattern Hair Loss, Alopecia Areata – to view our full gallery. We understand how precious everyone’s time is and how frustrating it can be when you have to scroll endlessly to get the information you’re searching for. So, in order to make your belgraviacentre.com user experience even more efficient and informative, we have re-launched our exclusive Hair Loss Treatment Success Stories in a new, searchable format. For the first time, users will be able to search Belgravia’s extensive collection of over 1,000 clients’ photoscans that visually chart their regrowth progress, by selecting specific criteria. You can use the filter options individually, or select as many or as little as you like. You can search for examples of men or women with hair loss, add in an age group if you like, and look up case studies of specific hair loss conditions. Select levels of hair loss before treatment, or levels of regrowth after, using our new built-in filters which will work automatically once you have selected them, so the images on display will always match your searches. Scroll down to see these search results in a gallery view – the further you scroll, the more will appear! Or to see a specific entry, click on the ‘before and after’ starting treatment image you want to see to open up that Success Story. This will open it up in a new window and you can use the arrows at the top of each image to easily browse through more of your search results. You can change the search terms at any time by using the expanding search menu on the right hand side of the screen, or simply press ‘Return to Gallery’ to get back to the Success Stories’ home page. You can get even more up close and personal with each clients’ regrowth by clicking ‘Display Full Size’ at the top right of each set of photoscans. This will enlarge the image so that you can really notice the difference, and see how well each client is responding to their Belgravia hair loss treatment plan. Each Success Story is also accompanied by a review or comments submitted by the client regarding their treatment experience. These are left in our clinic guest books, on our Facebook, via either of our Google+ pages for our City of London clinic or our flagship Belgravia centre, or by email – and you can even search by how clients left their feedback! The new Success Stories gallery is responsive, meaning it will work from your mobile phone or tablet, as well as from your computer – so you can keep up with our daily entries wherever you happen to be. We hope you enjoy exploring our latest website feature – remember to add us to your favourites, or your homescreen so you don’t miss a thing! Five year old Karla Buckley, from Widnes near Liverpool, is generously donating her hair to the Little Princess Trust. The young girl has had her very long hair, pictured here, cut to shoulder-length. The shorn locks will be sent to the national charity which uses donations of both hair and money to produce real hair wigs for children with hair loss. Karla’s mother, Dawn explained the decision. She said, “It is just because her hair is too long and we can’t do anything with it. We showed her the website of the Little Princess Trust and she started crying and she said, ‘I just want to make the little girls happy’”. Karla adds, “I wanted to have my hair cut to make the other little boys and girls very happy with my hair“. Hair loss can be difficult for young children to cope with and high-quality wigs of a suitable size can be hard to find. Since it began in 2006, the charity has provided more than 2,700 boys and girls with bespoke, high quality wigs throughout the UK and Ireland. Usually the children have lost their hair as a result of chemotherapy treatment for cancer or from alopecia. In addition to her gifting her hair, Karla has also been fundraising for the charity. Her JustGiving page shows that she is currently smashing her target of £350, with contributions exceeding £450. Dawn describes herself as “totally proud” of her daughter, and finds it “overwhelming” that she has taken the charity’s cause so much to heart. The Little Princess Trust works with specialist suppliers to create wigs from real hair tailored to match the child’s own hair type and colour. Karla’s fundraising will make an important contribution for the Trust to buy specialist wigs for children, where a suitable donated-hair wig cannot be sourced. This is particularly important for children with afro hair as these wigs cannot be made from hair that is sent in. If you are interested in finding out how to donate your hair to the Little Princess Trust, or would like more information on the work the charity does, you can visit www.littleprincesses.org.uk. An article on a Japanese website has linked the noodle dish ramen to hair loss. The story, written by cookery researcher Ogawa Chieko, claims that many men in Japan are eating ramen every day, and the limited diet could be contributing to their thinning hair. The article also cites stress as a potential cause of hair loss, along with diet foods, alcohol, all-you-can-eat buffets and processed snack foods, consumption of which is on the rise in Japan. Do noodles cause hair loss? Eating a bowl of noodles is hardly likely to result in immediate shedding – however, there may be some truth to the writer’s claims. Hair loss is a symptom of many conditions, although often those who experience it are genetically predisposed to hereditary hair loss. Although conditions such as Male Pattern Baldness are genetic, high levels of stress, heavy drinking and eating a poor diet may exacerbate this type of shedding, as well as potentially triggering temporary hair loss conditions such as Telogen Effluvium in others. The ingredients in ramen – normally noodles and broth topped with meat – are not particularly unhealthy on their own. In fact, a limited amount of lean red meat and bone broth could be beneficial to hair health, as they contain iron and a variety of nutrients beneficial to hair. However, if people are eating a restricted diet containing only noodles, they may not be getting the balance of vitamins and nutrients needed for healthy hair. This is also true of the other foods mentioned in the article: diet foods, all-you-can-eat buffets and processed snack foods may not be providing the vital nutrition for maintaining good health generally, which will be reflected in the condition of the hair. To keep hair in prime condition, a balanced diet is recommended, including fruit and vegetables, sources of protein and minerals such as zinc and iron. Those who struggle to eat a balanced diet can take a daily supplement, such as Hair Vitalics, to provide the most important nutrients to keep hair at its optimum condition. As the author of the article suggests, limiting intake of alcohol and taking steps to reduce stress can also be beneficial to hair health. Excess stress can cause the body to temporarily shut down non-essential processes such as hair growth, and high alcohol intake can adversely affect hair in a number of ways. Although lifestyle changes can go some way to improving the condition of hair, those who are already experiencing unusual amounts of hair loss should consider consulting a specialist. A hair loss expert will be able to identify the cause of your shedding and advise on the appropriate medically-proven hair loss treatments for your individual condition, as well as providing lifestyle advice to help regrow your hair and restore its condition. Is shaving your head really the only option if you start to experience signs of hair loss? That’s what Telegraph journalist, Andrew Shanahan wanted to know so he turned to Belgravia Centre managing director, Jonny Harris, pictured right, to evaluate a few of the other options for men with hair loss. If you are struggling with male pattern baldness, whether you’re considering a hipster beard-with-bald head combo, a Donald Trump-style combover, or just want to know what a ‘skullet’ is, read what Jonny and Andrew think are some the best options for bald men. Not ready to say goodbye to your hairline just yet? Have a look at Belgravia’s range of medically-proven male hair loss treatments that can help to prevent hair loss and promote regrowth. Our clients often tell us they can’t believe how good their results are – and you can see over 1,000 of them for yourselves in our exclusive collection of Hair Loss Success Stories. To find out what the best treatment options are for you, book your free hair loss consultation at one of our Central London clinics by calling 020 7730 6666 or sending us a message. If you are based outside London, or the UK, you can complete our online consultation for the Belgravia home-use service. A pioneering new stem cell technique for combating hair loss has been discovered in America as researchers manage to grow human hair in mice during trials. Scientists at California’s Sanford-Burnham Medical Research Institute developed the ground-breaking new technique which involves developing human stem cells into the dermal papilla cells, which are responsible for the formation of hair follicles and the hair growth cycle. During their trials, associate professor in the Development, Aging and Regeneration Program at Sanford-Burnham, Alexey Terskikh, PhD, and his team managed to grow new hair in mice using human pluripotent stem cells (hPSCs). These cells are derived from human embryos or foetal tissue which can transform into any other cell type in the body. Researchers successfully transplanted dermal papilla cells derived from hPSCs into test mice, who then started to grow human hair. Pictured above, you can see one instance of the human hair growth achieved during this study on the leg of one of these mice. More effective than hair transplants? It is believed that, should this technique of inducing hair growth be as successful during human trials, it will have the potential to be more effective than current hair transplant methods. 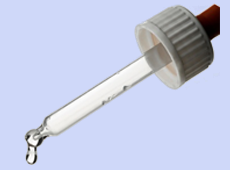 Although, whilst its potential for hair regrowth is clear, this method could not currently be used in a hair transplant-type procedure for a number of reasons. Firstly, the adult dermal papilla cells can only be gathered in small quantities making them unsuitable for hair transplants. Secondly, there is currently too limited a time-frame during which the cells can spark hair follicle formation in culture, for them to be used in restoration surgery. “We have developed a method using human pluripotent stem cells to create new cells capable of initiating human hair growth. The method is a marked improvement over current methods that rely on transplanting existing hair follicles from one part of the head to another. Conducting human trials, where the human pluripotent stem cell-derived dermal papilla cells are transplanted back into people, rather than mice, is the next stage of the research programme, Terskikh advises, “We are currently seeking partnerships to implement this final step”. There have been a number of studies recently investigating how stem cells can be used to treat hair loss conditions, although it is likely to be a while yet before this next wave of hair loss treatments become readily available. We recently reported on the Canadian research by veterinarian scientists who also discovered a way to regrow hair lost to the likes of male pattern hair loss by using stem cells. 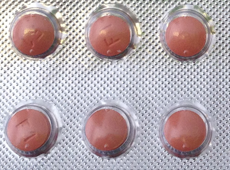 Although their findings were based on methods that were tested on mice, the team believes its findings may be applicable to humans too, although rigorous clinical trials are still necessary. Another study, this time in Spain, reported the discovery of a link between the immune system and stem cells which could lead to new advances in treatment for alopecia areata. We will keep you up to date with all the latest discoveries regarding potential treatments, here on the Belgravia hair loss blog but, if you have concerns now, it is always best to seek help as soon as you notice the first signs of hair loss. Contact one of our Central London clinics by calling 020 7730 6666 or dropping us a message to book your free hair loss consultation, or if you are based outside of London, please use our Online Consultation form for our home-use service. Hair loss from chemotherapy can be an upsetting side-effect of cancer treatment for many women, but a new weave system could help women regain their confidence after experiencing hair loss. The integrated lace hair system, designed by a Glasgow-based hair restoration company, uses real hair interwoven with the individual’s own hair, to create a natural look. Cancer survivor Dianne Baxter, who has beaten cancer twice, found chemo hair loss to be one of the most upsetting aspects of undergoing chemotherapy. At 28, she was diagnosed with Hodgkin’s Lymphoma, and was told her prognosis was good, undergoing 13 weeks of chemotherapy and a month of radiation treatment. Diane’s hair fell out, but at this stage she was mostly just relieved to be in remission. At 38, after being warned she had been left at increased risk of breast cancer after her radiation treatment, she was told she had breast cancer, undergoing a mastectomy, reconstructive surgery and chemotherapy, experiencing hair loss for the second time. Although hair can grow back normally after chemotherapy, there is the possibility that the treatment could leave women with bald patches or thinning hair. Head covering solutions such as this type of lace hair system wig can help cancer survivors to disguise hair loss whilst allowing hair to grow back at its own pace. Does Chemotherapy Always Cause Hair Loss? Welcome to the New Belgravia Centre Website! Belgraviacentre.com now has new pages, an improved online consultation form and an easier to navigate, smoother user experience for anyone interested in learning about or finding out how to treat hair loss. Our Online Consultation Form makes it even more straightforward for those of you who can’t make it to one of our Central London hair loss clinics, to get a professional diagnosis of your condition. You can even upload photos! Our site now features a responsive design that makes it easier to use from mobiles and tablets, for all your hair loss needs on-the-go! But don’t just take our word for it… have a look around and explore the site for yourself – and remember to check back as this is just the start. We have plenty more exciting new features and updates coming soon! Exciting New Developments At The Belgravia Centre! We have just installed a brand new bookings system in both our Central London hair loss clinics. This carefully-developed system will make the Belgravia experience smoother for clients old and new by reducing waiting times and also by giving each patient their own, dedicated Hair Loss Specialist. In the same way people build a rapport with their doctor or hairdresser, we want you to have that kind of personal service from your Hair Loss Specialist; someone who will be able to assist you all the way through your hair loss treatment journey, providing one-on-one support and answering any questions you may have. As with any new system, there may be teething troubles at first whilst our staff get used to the new software so please do bear with us during the next two weeks as we changeover. We know it will be worth it in the long run as we will be able to provide an improved, more efficient service to all our patients. If you would like to make a booking or arrange a free hair loss consultation, please do contact us in the usual way, by calling 020 7730 6666 or sending us a message. We will be unveiling a new-look website soon at belgraviacentre.com – one which will be even more informative, include high-quality visuals – including our famous Hair Loss Success Stories gallery – and will be extremely easy to use. The new site is set to launch in the next seven days so do check back and keep an eye on our Facebook, Twitter and Google+ pages, where we will post announcements when our new site is live. 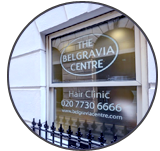 We are aiming to make the Belgravia Centre website the most comprehensive source of information about hair loss conditions and treatment available, so if there is anything you would like to see on the site, please do let us know. You can leave us a comment here, below, or on any of our social channels. You can also submit questions to our experts for our hairlossANSWERS Q&A series, to receive professional advice on any hair loss matters. The Belgravia Centre is the UK’s leading hair loss clinic, with two locations in Central London. If you are worried about hair loss you can arrange a free consultation or complete our online consultation form from anywhere in the UK or the rest of the world. View our extensive Hair Loss Success Stories gallery, which is the largest collection of ‘Before & After’ treatment pictures in the world, demonstrating the levels of success that so many of our patients achieve. 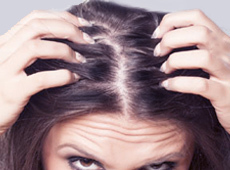 You can also phone 020 7730 6666 any time for our hair loss helpline or to arrange a free consultation. When Shelley Cain, 38, was diagnosed with breast cancer, her world was turned upside-down. Apart from the devastating blow of being diagnosed with a life-threatening disease, she had to come to terms with the possibility of suffering a common side effect of chemotherapy treatment – hair loss. Her two young children – Ollie, 6, and Ruby, 10 – were inconsolable after hearing the news, having recently lost a close family friend due to cancer. Ruby begged for her mother to not lose her hair, which prompted Shelley to undergo gruelling cold cap treatment. 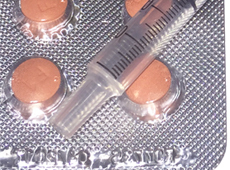 The HR worker underwent a regime of cold cap sessions throughout her course of chemotherapy. The process was physically demanding, often leaving blocks of ice on her head. Shelley underwent three-hour sessions of the treatment, and doctors made it clear to her that treatment was not always successful. However, Shelley persevered out of love for her children. Shelley, who is now in remission, says, “I screamed for the cancer nurse to remove the cap when she first put it on as it was unbearably cold and painful. But I was so determined to stay looking well for my kids, it got me through the pain. Shelley now says that her focus on keeping her hair helped keep her sane throughout the process. She said: “It wasn’t easy, but I think it was psychosomatic. How do cold caps work? Each hair on the head grows from hair follicles. Healthy hair follicles require a steady flow of food and oxygen in order to survive. However, when someone undergoes cancer treatment, chemotherapy drugs in the bloodstream can be carried to the hair follicles, resulting in hair loss. Cold caps work by narrowing the blood vessels in the scalp, so that less of the chemotherapy drugs reach the hair follicles. In this way, hair loss is prevented. 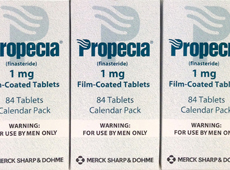 It’s important to note that cold caps won’t work for hair conditions such as Alopecia. This is because people with conditions like Alopecia require a consistent, healthy flow of blood to the scalp to encourage hair re-growth. Using a cooling cap will actually have a damaging effect if used by someone with Alopecia, so it’s important to speak to a hair loss expert to confirm the best course of treatment for your individual hair loss condition.